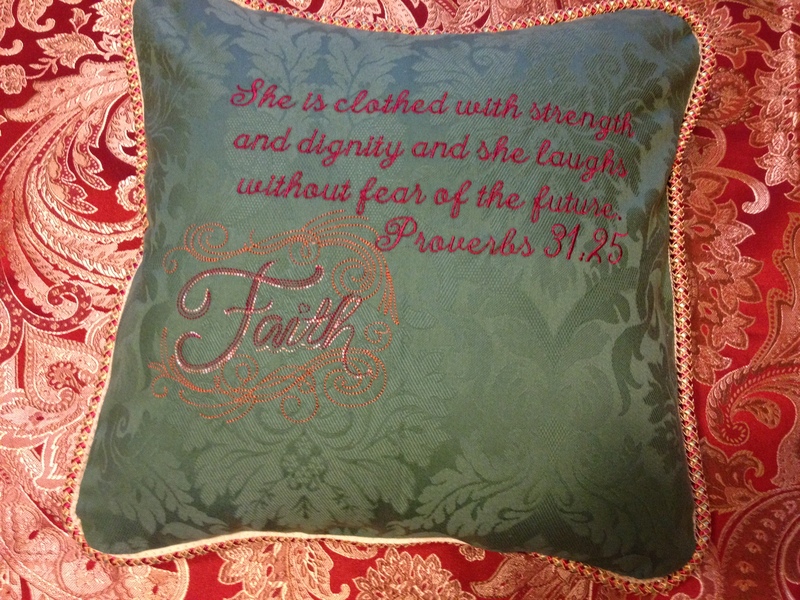 Just embroidered a pillow for a friend. 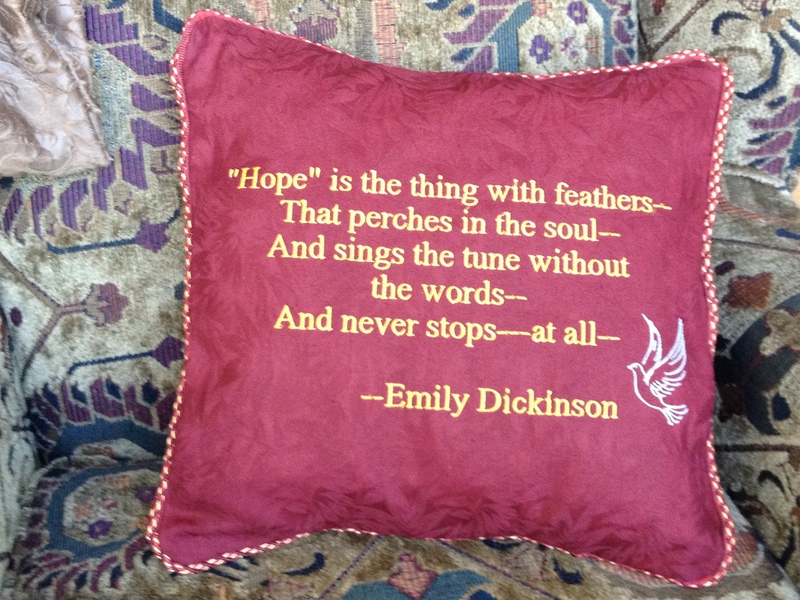 She loves this quote from Emily Dickinson, and I thought it would make a lovely addition to her home! I love all the fonts available along with free images such as the dove below in the Floriani software! Pioneer dresses seem to be a favorite with the granddaughters. They seem to find many place to wear them and receive lots of compliments! This a machine embroidered wall hanging on silk called “Fantasy Birds.” The design is from the Anita Goodesign company. This is probably my favorite work.